In a major development for Australia’s $35 billion Hunter Class frigate program, an interim contract has been struck between the Commonwealth and BAE Systems Australia. Minister for Defence Christopher Pyne today announced Defence and BAE Systems Australia have entered into an Advanced Work Arrangement (AWA). The AWA will cover ongoing work on the $35 billion program, ahead of agreeing the head contract. Minister Pyne said the AWA is an important first step in the process of transitioning ASC Shipbuilding into BAE Systems in preparation for the nation’s biggest shipbuilding program. "The AWA is an interim contract which enables BAE Systems to continue to mobilise its workforce and progress the critical work required to ensure the project remains on track to start production in 2020," he said. Work continues on negotiating the head contract for the program, with signature expected later in the year after the ASC Shipbuilding transition is completed. Defence will execute the head contract with ASC Shipbuilding – as a wholly owned subsidiary of BAE Systems – for the delivery of the Navy’s nine Hunter Class frigates and associated support system components. "The process of transitioning ASC Shipbuilding into BAE Systems is well underway, and ASC Shipbuilding, BAE Systems and the Department of Finance are making good progress in negotiations," Minister Pyne said. The AWA signed will allow BAE Systems to continue to mobilise the program, including maturing design and engineering plans, establishing a skilled workforce and setting up the required infrastructure necessary to commence prototyping in 2020. BAE Systems’ Managing Director for the Hunter Class Frigate Program, Nigel Stewart said, "This is a very important and early milestone in the development of an enduring world-class naval shipbuilding industry in Australia. The AWA demonstrates a commitment by both BAE Systems and the Australian government to ensure timely progress on this critical defence program." BAE Systems continues to progress negotiations with the Australian government for the head contract for the Hunter Class Frigate Program and the acquisition of ASC Shipbuilding. 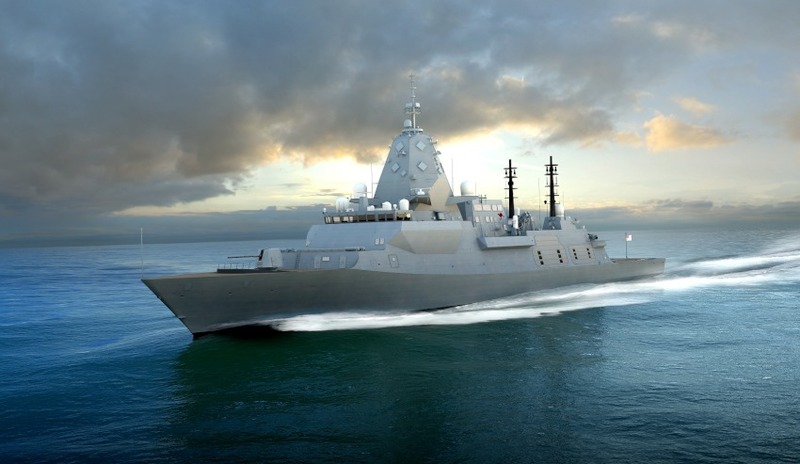 This announcement comes following the selection of BAE Systems and the Type 26 Global Combat Ship earlier in the year, at which time then prime minister Malcolm Turnbull said the vessels would deliver, "the highest levels of lethality and deterrence our major surface combatants need in periods of global uncertainty". The Hunter Class would have the capability to conduct a variety of missions independently, or as part of a task group, with sufficient range and endurance to operate effectively throughout the region, according to Turnbull. The ships will include the incorporation of the leading-edge Australian-developed CEA phased array radar and the US Navy’s powerful Aegis combat management system. With an Australian interface developed by Saab Australia, the Hunter Class will be one of the most capable multi-role warships in the world. As a responsible regional actor, Australia's future frigates will also have the flexibility to support non-warfare roles such as humanitarian assistance and disaster relief. Bringing the ships together will be the joint BAE/ASC workforce at the Adelaide-based shipyards responsible for delivering the Hobart Class Air Warfare Destroyers and the Collins Class submarines. In order to maximise the efficacy of the workforce and to ensure that the key defence project is delivered on time and on budget, BAE will be bringing the concept of a 'digital shipyard' to Australia for the first time. The 'digital shipyard' concept will see BAE facilitate the transfer of intellectual property and technical data, including the digital ship design that has been optimised for the production of the new Hunter Class, combined with all the naval shipbuilding processes tailored to the specific requirements of the ASC shipyard in South Australia. This $35 billion program will create 4,000 jobs throughout Australia and deliver unprecedented local and global opportunities for businesses large and small and is a key part of enhancing of enhancing the government's $89 billion sovereign shipbuilding capability. The first Australian vessel will now be the fourth of class. The first ship for the Royal Navy cut steel last year in Glasgow and is due to hit the water in 2020. The nine Hunter Class frigates will begin entering service in the late 2020s, replacing the eight Anzac Class frigates, which have been in service since 1996. BAE Systems Australia employs 3,500 people across the country, including around 1,000 in South Australia. The company has been supporting the men and women of the Australian Defence Force for 65 years. BAE Systems Australia delivers engineering, program management and sustainment solutions to ensure that defence and security customers have the capabilities they need.